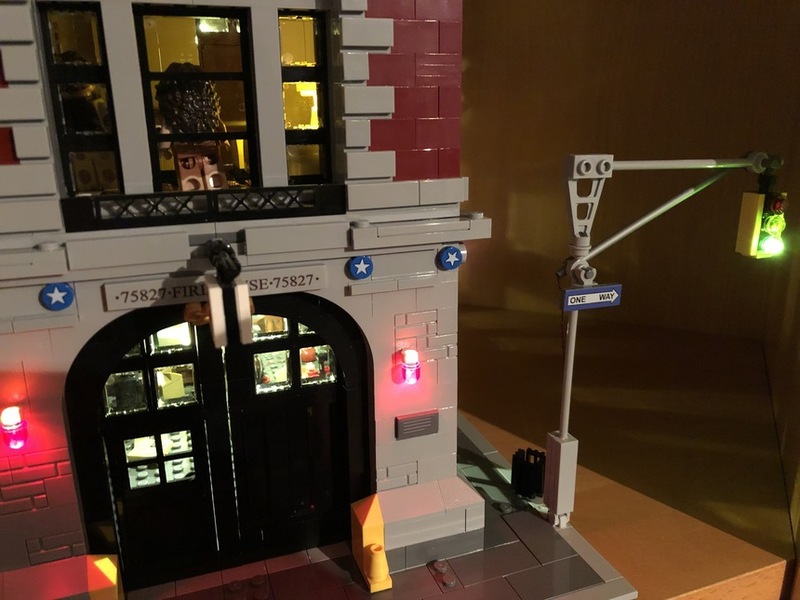 I have the GB light kit that I have been putting off installing as I wanted to know who has an idea or way and what lights to use/how to install traffic lighting for the outside pole on this amazing LEGO set and add to the great lights that BS has made!? Any and all help would be great! The price for this kit is $39.99 and it connects directly to the GBHQ lighting kit inside the first floor. If you would like to buy this kit, please send us an e-mail through the contact form on our website-- we can prepare a PayPal invoice for you (you don't need a PayPal account to pay). Eventually we will have these kits up on our website, but for now we have one left in stock and can send it to you if you'd like to buy it. Thank you again for your interest in this kit!